Hardcover, 7.5 x 9.75 in. / 128 pgs / 75 color. - Andrew Wyeth, excerpted from the Introduction to A Spoken Self-Portrait. Richard Meryman began an enduring friendship with Andrew Wyeth (1917–2009) while on the job as a Life magazine editor in 1964. For Meryman, this unique friendship yielded more than four decades of recorded conversations with Wyeth, his family, friends and neighbors in Wyeth’s homes in Pennsylvania and Maine. Meryman notes that, whether during formal interviews, shared meals, car rides or long walks, “Wyeth applied to himself the same sensitive understandings that fueled his art. A lifelong realist who swam against the art world tide of modernism, he showed himself to be fundamentally a painter of emotion--of people and objects that somehow embodied his memories and imagination, triggering feelings inexpressible in words, but recognized by viewers.” In five skillfully crafted monologues composed by Meryman around key themes in Wyeth’s work, we hear the voices of not only the artist but also his subjects, neighbors, relatives and critics. 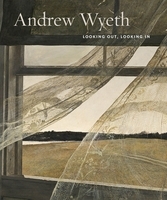 The book includes reproductions of the works of art discussed by Wyeth in his own words, as well as previously unpublished photographs of Wyeth’s studio taken in 2009. Richard Meryman is the author of the acclaimed biography Andrew Wyeth: A Secret Life (1996). 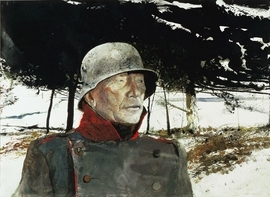 Featured image: Andrew Wyeth, "The German," 1975. Watercolor © Andrew Wyeth. This book is a rare depiction of an artist that succeeds in bringing across the sense of the man, as well as the master of his craft. Art historian Robert Rosenblum called Andrew Wyeth one of the most overrated and underrated artists of the twentieth century. 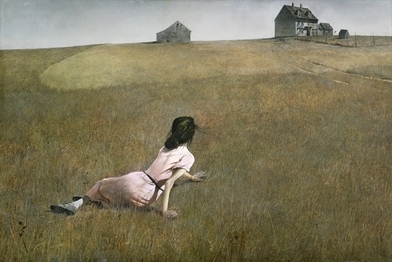 Wyeth's work appeared on the cover of Newsweek and Time many times, and his painting "Christina's World" is one of the most iconic works of twentieth-century art, having been referenced in advertisements, television and movies (most recently in Tom Cruise's newest action vehicle Oblivion). Wyeth, who died in 2009, was a realist artist--perhaps THE consummate realist--who created enormously popular works that stood in sharp contrast to abstract art and pretty much every art movement that came after it. It has been said that he swam against the tide of Modernism. Over his long career he was sporadically celebrated, misunderstood, often taken for granted, and sometimes even ignored. His visual world is one of farmland, empty bedrooms, grizzled peasants, weathered barns, monumental trees and his neighbors and close family members. His use of light is best described as probing and unflinching, perhaps even magical, and his attention to detail unreal. Aesthetically his work can be compared to that of draftsman and painters as varied as Edward Hopper, Thomas Eakins (whom he described as "the ultimate realist"), Albrecht Durer and Winslow Homer, all of whom he admired. A Spoken Self-Portrait is the first of two major Wyeth book that will appear on the D.A.P. list over the next year. In 2014 the National Gallery Art, with whom we are co-publishing both books, is mounting Andrew Wyeth: Looking Out, Looking In, the first major U.S. museum show since both the artist's passing in 2009 and 2006's Memory & Magic. 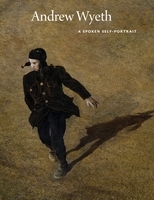 A Spoken Self-Portrait is being published in advance of that exhibition. 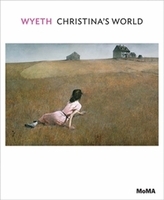 As the title suggests, this book is a composite self-portrait, composed of five monologues developed around key themes such as "Christina's World," the artist's early life, his influences, how he became a painter and how his technique and skill were developed. The majority of the text comes from over 100 hours of interviews Wyeth did with the writer Richard Meryman, a longstanding friend with the artist who authored the critically acclaimed Wyeth biography A Secret Life (Harper Collins). Meryman's relationship with Wyeth stretched all the way back to 1964, when he first interviewed Wyeth for a Life magazine profile. Additional text comes from letters Wyeth wrote to his parents, statements by people in Wyeth's life, including his wife Betsey Wyeth and his neighbors (who were also often his models). Commentary by celebrated critics like Robert Hughes and Hilton Kramer are also interspersed within the narrative. This compact visual reader includes more than 70 color reproductions of important Wyeth works discussed in the text, plus many unpublished photographs of Wyeth's studio taken just after his death. Wyeth was an extremely private artist who wanted to work and have the work speak for itself. "As for any thoughts I may have ... you will have to listen very carefully, for it to speak, my brush does the speaking for me, not my pen." This book opens a window into his personality, his character, his development, his relationships, his thoughts on technique and on other artists. Text by Nancy K. Anderson, Charles Brock. FORMAT: Hbk, 7.5 x 9.75 in. / 128 pgs / 75 color.